Jesse Hiatt was a farmer who discovered an unusual seedling in his apple orchard in 1872. He carefully nurtured the tree and found its first fruit to be of a remarkable flavor. 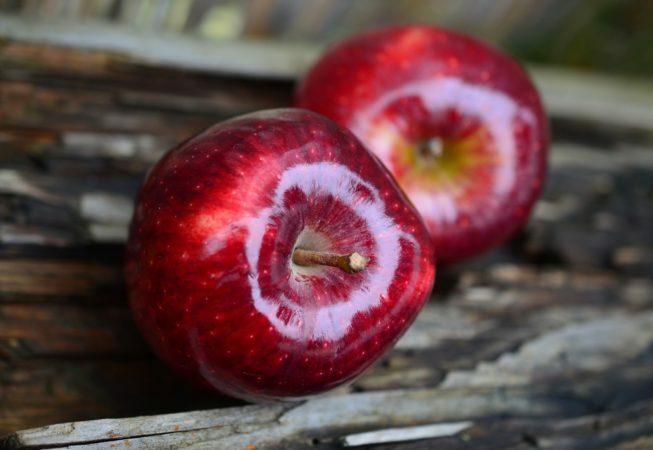 Originally named Hiatt’s “Hawkeye,” the apple was entered in the Missouri State Fair in 1893. Upon biting into the apple, one judge proclaimed it “delicious” and that name stuck. A descendent of the original Delicious apple tree still stands just north of Peru in Madison County.